You must know by now how much #TeamCoco love cocktails and will never pass up a good old cocktail-hour, specifically when it’s dedicated to a good cause. We sent our Lifestyle Writer, Helena, to the Dorsett Shepherds Bush to support Cocktails by Candlelight, sampling two one-off cocktails created in recognition of Earth Hour 2016 and marking this important global event. Overlooking Shepherds Bush Common, Dorsett Shepherds Bush is a Grade II listed building effortlessly combining both character and charm. The stylish hotel boasts 317 Chinese inspired bedrooms and suites and also offers a choice of two restaurants – Pictures and Shikumen, Dorsett Lounge, the decadent Adeela Crown Aesthetic Spa for indulgent treatments and a destination bar, Jin. 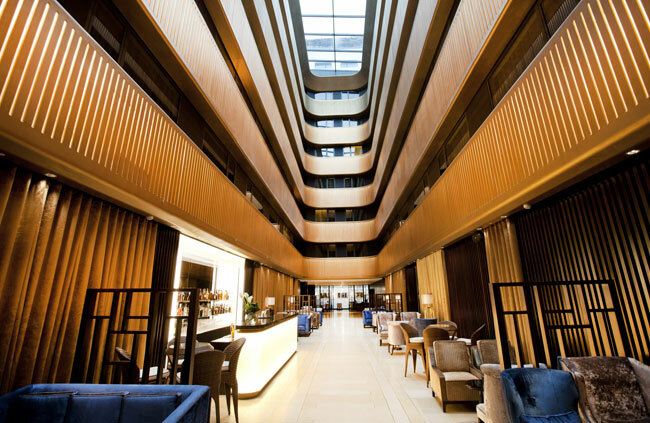 The decadent gold translated throughout the hotel and Asian feel in the air takes you out of London and effortlessly transports you into a calm relaxing ambience, it has very quickly and well deserved stolen the title as one of my favourite hotels in London. 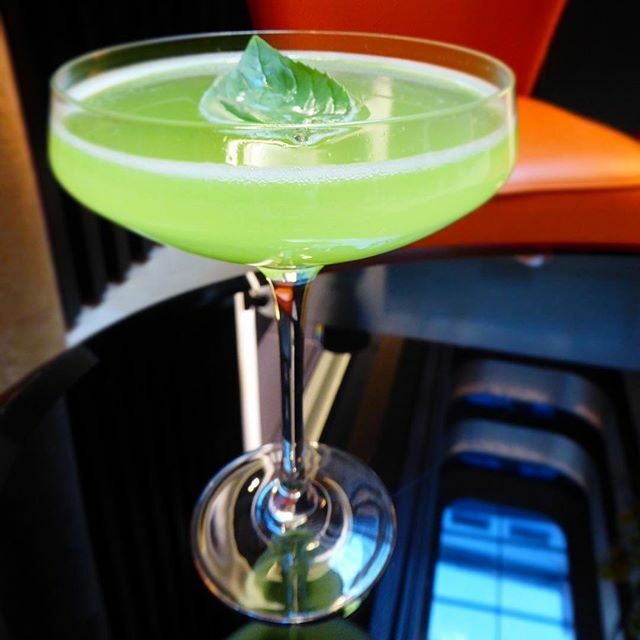 The Dorsett Shepherds Bush is raising awareness of Earth Hour with unique green cocktails this March, these are available for guests and visitors at the Jin Bar’s golden atrium, for the entire month. On Saturday 19 March Dorsett Shepherds Bush dimmed the lights for an atmospheric hour to pay tribute to this global event. Jin Bar’s expert mixologist, Rimantas Jankauskas, has created two one-off cocktails to highlight the importance of protecting and preserving the planet we inhabit, but with an enjoyable twist; proving that being environmentally responsible doesn’t have to be boring or restrictive. 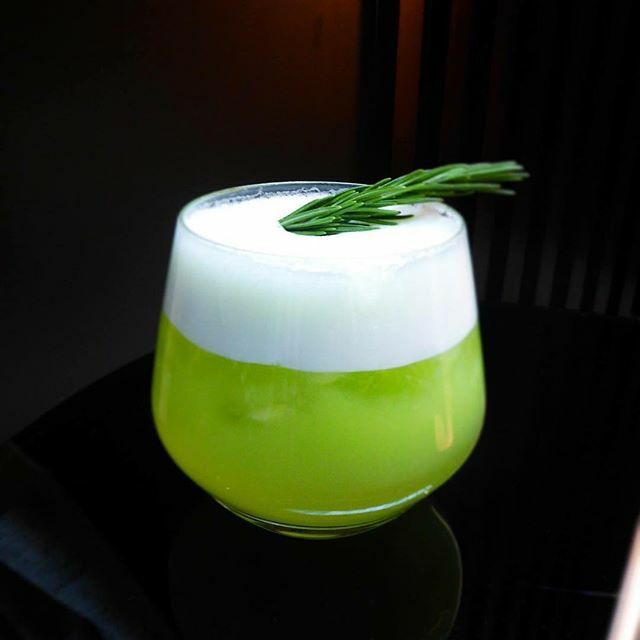 The ‘Cucumber & Lavender Sour’ cocktail contains a refreshing blend of Midori liquor, Beefeater gin, a twist of lemon juice and a dash of homemade lavender syrup, with three slices of cucumber, adding a green twist. The ‘Basil Martini’ cocktail compliments and shakes up the traditional martini by adding basil leaves, fresh lime juice and elderflower cordial to the vodka and absinthe base. 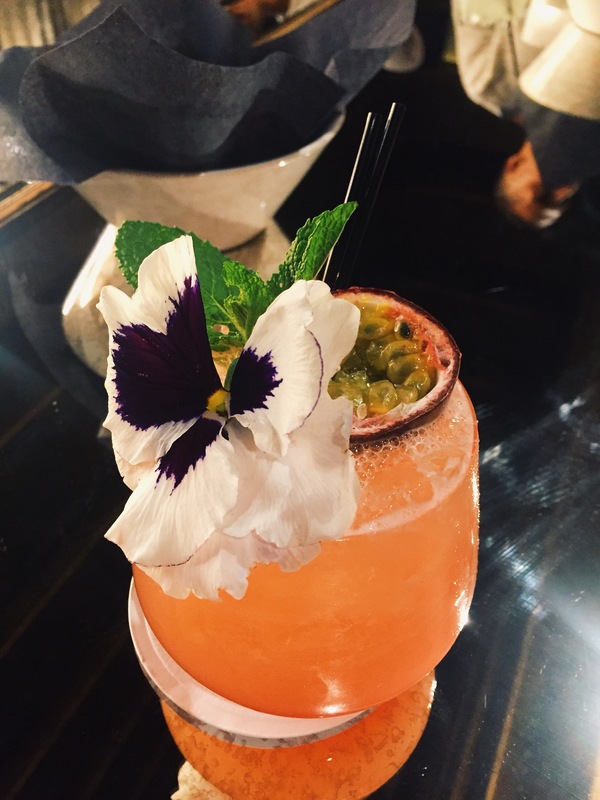 I’d also advise to try the ‘Passion Fruit Mai Tai’ on the Jin Bar’s cocktail menu – delightfully fruity and delicious, and it always helps when it’s so pretty to look at too. 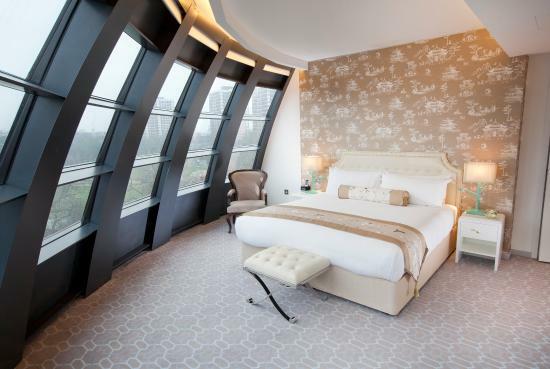 The bedrooms at The Dorsett Shepherds Bush are just as special, with an all-gold regal feel, a massive comfy bed and choice between rainfall shower or relaxing bath tub, it’s safe to say I left feeling like a Princess and one night wasn’t near enough. #TeamCoco approves and we cannot wait to return!